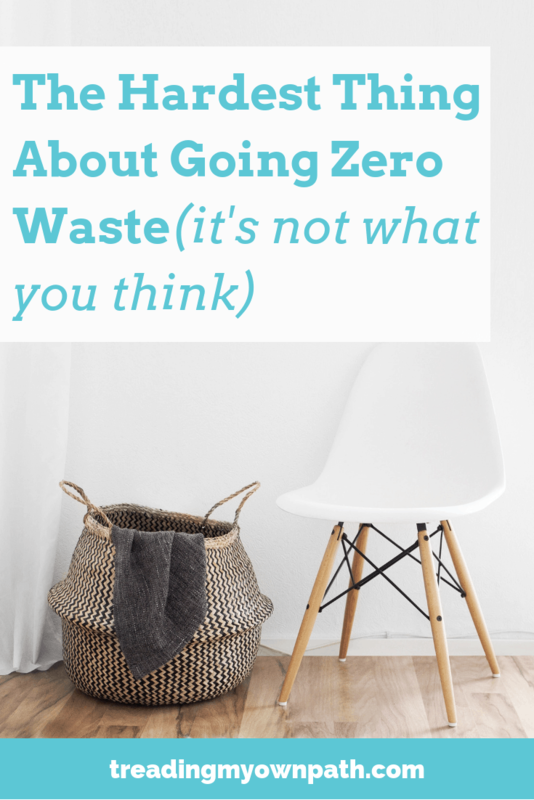 If you had to guess what the hardest thing about going zero waste is, what would you say? Lack of access to bulk stores? Zero waste products being more expensive than their plastic-packaged, overly wrapped counterparts? 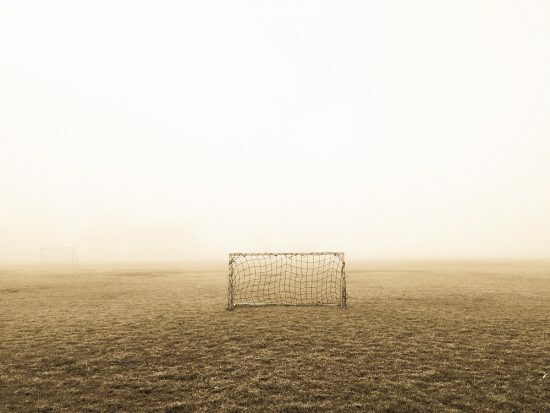 Lack of buy-in from the kids, or the spouse, or parents, or colleagues? These things can certainly be challenging. Yes, it would definitely be easier if we all had an incredibly affordable bulk store just around the corner, right next to a veggie shop full of fresh locally grown, unpackaged produce, and our family was so enthusiastic about zero waste living that they fought over whose turn it was to do the grocery shopping. Let’s just imagine that for a second. Ahhhhhh. The absolute hardest thing about going zero waste, though? In my view, it is none of these things. The hardest thing about going zero waste is stepping off the consumer treadmill. The hardest thing is not buying stuff. When I talk about “stuff”, I’m not talking about the grocery shop. I’m talking about everything except the grocery shop. Yes, the zero waste conversation often hovers around bulk store shopping and avoiding the single-use plastic packaging that so many grocery items come packaged in. We forget that everything else we buy is also contributing to the “waste” issue. Everything. Even the zero waste reusables that we buy. No matter how eco-friendly the product, it still uses resources and it still uses energy in its creation, and it still has an impact on our planet. Now I’m not saying, we shouldn’t buy anything, ever. Furniture, white goods, clothing, homewares, kitchen tools – it’s all useful stuff. Those zero waste reusables are pretty useful too. But that’s exactly the problem. There is useful stuff everywhere; we know it is useful, and we want to buy it. Sometimes we do buy it. The hardest thing about zero waste is about resisting the majority, if not all, of the useful stuff. The hardest thing about zero waste is not buying stuff. Change can be hard. Starting and then ingraining new habits, consciously trying to remember new ways of doing things before it seeps into our subconscious, researching new ideas and learning new skills – it can be exhausting. We want to make progress, and fast. We want to see the evidence of this progress. And that is where the buying comes in. It’s almost like a beginner zero waste right-of-passage; the buying of stuff. We’ve all done it. (Well, most of us. Including me.) We want to look like we’ve made progress, and so we buy the things to prove it. The water bottle, the reusable coffee cup, the reusable produce bags. It makes us feel good before the real stuff happens. The refusing of the single-use items, the remembering of said reusables, and the reshaping of habits. That’s the real secret to being zero waste. It’s not the buying of stuff, it’s the remembering of stuff. We have to remember, that all of us enjoy a certain amount of comfort that we’d like to maintain. No-one reading this is living in a cave, collecting rainwater, growing all their own food and weaving their own clothes. Let’s be realistic. Maybe we like eating chocolate, or drinking coffee, or wearing ethical fashion. If takeaway coffee is our treat, then it is our treat – and a reusable coffee cup is a useful purchase. Some things are useful, and some things are necessary. If the “thing” is standing between going zero waste and not (and will reduce waste in the long run), better to buy it. But at some point, we have to recognize that we cannot continue to buy stuff to reduce our consumption and waste. We have to reach our “enough”, be happy with what we have, and step off the consumer treadmill. The consumer treadmill refers to the constant desire or pull we feel to buy stuff and upgrade stuff. Letting go of these urges and not succumbing to temptation can be hard. It can take time. Sometimes a lot of time. But if we are really going to embrace zero waste living, this is what we need to do. You know how with exercise treadmills, you spend a lot of time and energy walking or running, and yet you never actually get anywhere? Well, the same applies to the consumer treadmill. Buying, storing, maintaining and ultimately disposing of stuff all takes up time and energy, for not much (any) gain. The happiness we feel when we buy new things is fleeting, and it fades. What we’re left with is a credit card bill and more stuff to take care of – which tends to leave us feeling frustrated and overwhelmed rather than satisfied. This is a tough lesson to learn. Change is hard, and buying stuff is easy. Even when we know that it is true, it can be so hard not to buy stuff. New things are so shiny, and marketers are extremely good at persuading us that we need things. That our lives will be better with them. When I first went zero waste, the zero waste options on the market were lean. This was a good thing, as I was still in the early I-want-to-make-changes-and-want-to-see-progress stages when buying stuff is such a temptation. Because the selection was meagre (and my budget was tiny), I didn’t buy a huge number of things, and the things I have are well used. Then, as I went further down the zero waste path, I embraced the second-hand lifestyle, the making-do lifestyle, the borrowing-rather-than-buying lifestyle. I learned about my “enough” and I let go of the urge to buy stuff as the solution (to whatever the problem might be). It is more than 6 years since I first went zero waste, and now there are so many more options for zero waste items – often described as “essentials”. There are reusables for things I’d never have thought of (and would never have considered necessary until I clamped eyes on them), and there are better versions of things that I already have. It’s easy to see things and think “ooh, I could use that” or “ooh, that is a much better version of what I already have – I should upgrade”. The challenge is to resist this temptation. It can be a daily challenge. To understand that what is useful is not the same as what is necessary. It is easy to convince ourselves that we will use things, and therefore we need them. Instead, we need to remind ourselves that we don’t. Things that are useful are not always necessary. This isn’t about no stuff. We need stuff: it is useful and sometimes necessary. We can buy things because we consider them both useful and necessary, and we can recognize that everything we buy has a footprint. The most zero waste thing to do will always be to buy nothing at all: to make do with what we have. That doesn’t mean it’s realistic, practical or achievable, but it is the truth. If we can’t buy nothing, what can we do? We can buy less, we can buy better, and we can make things last. We can limit our purchases. We can choose second-hand, or we can borrow, or hire. We can share resources, we can trade, or swap. We can improvise, and make do without. This is the closest we get to zero waste living. We can consume resources, or we can conserve them. The planet won’t be saved by us all purchasing yet another reusable. Now I’d love to hear from you! Do you find it easy or do you find it difficult to not buy stuff? How has that changed over time as you’ve begun reducing your waste? Is it something you’d like to be better at in the future? Or have you reached a happy balance of “enough”? Any other thoughts? Please tell us in the comments below! As an older person i have already bought way to much stuff over my life, even though i have always had a make do attitude, so starting young is good. We are whittleing away at our stuff and finding good homes, or uses but it will take a while. Fantastic post! I don’t purchase a lot of stuff but I am sometimes tempted to support an ethical vegan online store and then when I get my purchases it is still a bunch of stuff I never needed in the first place! I have only realised this recently that no matter how ethical the purchase if it’s something I can do without then its better not to purchase.Your post was very timely for me confirming what I have been thinking about, thanks! Thank you Jenni! I can definitely relate to your experience. I think sometimes we justify to ourselves that we did need these things by using them a couple of times, when we know deep down that we could have managed perfectly well without! It is especially hard when these things tick all our values and ethics… it is easy then to overlook that it is often “stuff” we don’t really need! This is a great post, buying ‘stuff’ is a trap so many of us buy into. Buying brand new ‘eco’ stuff is only really 100% justified when the buyer has no other option but to do so. The person that goes out to buy a perfectly matching set of ‘zero waste’ bamboo cutlery probably already had some odd cutlery they could have bundled up from home, or could have been put together with op shop finds. Granted, mis-matched things don’t look as pretty as the beautifully styled pictures on Instagram. I think the key is being content with what you already own, and finding your mis matched assortment of posessions beautiful BECAUSE of the true sustainable benefits of not buying more. I completely agree! I am just starting my zero waste journey and when I look at blogs and Instagram posts with matching “zero waste swaps” or perfectly white and homogenous “rags” I think that the wrong message is being spread. 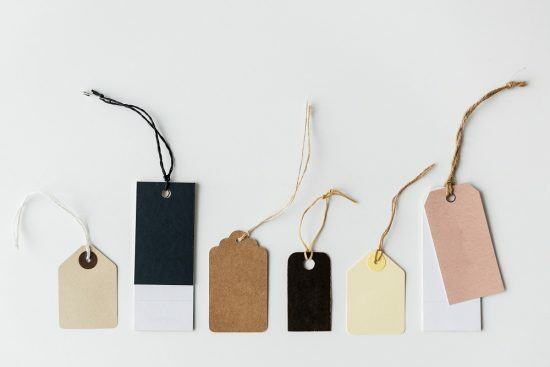 While it looks pretty, it would be more helpful to see the not so pretty swaps people who are truly buying less are using. Kaley, if there’s a way to sell a non-consumer lifestyle to people in a way that makes them buy more stuff, we can be sure the marketers will figure it out… :( No wonder so many people think zero waste living is expensive. Yet not buying stuff works out to be much cheaper. Great Post! It’s been a mindset change for me even though I was never a shopper to begin with! I now strive to be a ‘conscious consumer’ and actually think about everything I buy. I try to keep the ‘need vs want’ mantra top of mind, and ask myself if I already own something that will serve the same purpose. I’m now in a grove of (mostly) ignoring the ‘wants’. I’ve been going through the process of editing, and have been giving away / donating things we haven’t been using so that someone else can put them to use. Hi Sharon! Loved this comment. I’m totally with you on the “mostly”! And I love that you’ve given away things you no longer need – too many people hold onto things they never use in the name of zero waste, and yet it makes much more sense to find new owners who will make the most of these things! One of the most helpful things for myself in this area, is having a budget. I use YNAB and love it, and it makes it crystal clear how much money I spend on crap. The plus side to not spending money on stuff is that it gives you the freedom to do a lot of other things! I had to look up YNAB, Dan, but from your description I love it! And yes, that’s exactly it. Stuff takes away so much – our time, our money and our freedom. Not a fair trade in my view! Thanks for this post. As I’ve been trying to resist buying things, I’m becoming more aware of how much pressure there is to buy. Just the usual forms of advertisement, like commercials and advertisements, are hard enough to avoid, but now it seems even news articles and social media are just a constant bombardment of trying to get me to buy things. It sometimes just feels exhausting to tune out all the pressure to buy. Hi Kate, ooooh I hear you! I don;t have a TV, don’t listen to commercial radio and use adblockers on my laptop and mobile phone (they are free to download and work amazingly). I also have a “no junk mail” sticker on my mailbox. when I go to the cinema the ads are overwhelming! This is a great post! I’ve incorporated minimalism and frugality into my zero-waste lifestyle, and have been on these paths simultaneously. I think they go hand-in-hand. Spend less, have more financial freedom, own less, have the freedom of time and space to pursue passions, and create less waste, having a more symbiotic relationship with nature and our planet. It’s difficult because when you don’t mindlessly consume, you have all kinds of time on your hands. You have to look at yourself and learn about yourself and figure out what you want to do with your life! When you aren’t a cog in a capitalist machine, giving your life over to make money and then using that money to consume goods and services, when you aren’t a mindless consumer, you have to spend time figuring out what you are going to be instead. Not buying stuff for me is an easy part of reducing waste. I hate shopping, always have. My clothes get looked after and mended to save me the bother and time of shopping for replacement clothes, new or thrift. I have over the years bought renewable stuff, eg. we bought keep cups when they first started, I have three in the car so that others I am with can also use them and I hope that they go onto never buy take away cups again. Leading by example is a great way to reduce waste but it only works if consumers see an easier more sustainable way forward. A great post. We can so easily be seduced into an upgrade. So easily seduced, Annie! Ah, that is a good amount of time to find new homes for things. Good luck with it. Great article, make you really think! Thank you. I’m moving house and this is SO relevant. I can’t get a second hand plug for the sink. Gosh knows why I keep moving places and they’ve disappeared. And it’s a relative ‘now’ need (to wash up’ than a later need. I actually came to zero waste via the way stations of decluttering and minimalism (and setting up my home for the first time in 2011). It helped me buy better but less, and with a real focus on quality materials, even if it was second hand or new. Thanks, Lindsay, for saying what’s usually perceived as unpopular. It’s all about a rejection of capitalism. You’re swimming against the tide but it’s needed. Trying to get people to understand that most of their “needs” are really “wants” is tough. How would you do that? Thanks Margaret, and a perfect summary! So, so true. I indulge my desire to shop by buying in charity shops, but i’m quite discerning, I don’t buy it unless i really need it or LOVE it. I’m planning on starting a pre-loved and upcycle homeware business this year. Everything I will use to upcycle will have to exist already. I don’t want to buy new stuff to transform existing. That’ll allow me to continue to shop with purchase and allow others to indulge in shopping without creating any more stuff in the world. The major downside of not shopping as a hobby is my daughter’s disappointment. She wishes I shopped for clothes with her in the shiny bright shopping centre like other mums. We do look for clothes in charity shops together but it doesn’t have the same attraction for an 11 year old. Oooh I love the sound of this project, Elaine! What a great idea. You’ll have to keep me posted about how it unfolds :) No advice about the 11-year old shopping experience though, sorry. Hopefully she gets to the point where she sees the light soon enough! Great post. I still have to ‘step away’ from stuff. But have always tried to live the ‘second hand/ op shop’ way. At my age now 59, I don’t want birthday/Christmas gifts anymore and have asked repeatedly not to have them, but loved ones look horrified and then ignore me! I get stuff I don’t need. Any advice ? I’m not ungrateful and the gifts hold lots of love, but…..
Hi S! I love and agree with Kirsty’s ideas below. I’ve written about gift-giving a few times and you’ll be able to find the posts in the archive. But yes, if people feel the need to give a gift to show their love (and people do) then it can be hard to get “I don’t want or need anything” across. In which case, set some parameters. Decide what is good. Maybe consumables that are home-made (baked goods or snacks, perhaps), maybe a second-hand book that the person loves. Or – which I prefer – ask for experiences, vouchers for places (not shops), tickets to shows or events. Give them something to work with! I’ve also found, each year gets a little bit easier as others start to find a happy middle ground. Libraries are such good resources Rebecca. I love mine too! I was thinking about not buying things anymore before I really explored the zero waste concept. I still produce too much plastic waste, but I try to step off the consumer treadmill by not buying things. What I do is the following: every time I want to buy something, I don’t. Instead I write it down on my list of “things I would like to have”. Shockingly, most of the times, writing it down is enough. The temptation has passed. There are some items that I come back to. But then I know that I really want them. They are not just an impulse buy. I still don’t buy them, I’m asking for them as presents. This way I turned from a person that is impossible to shop for into a grateful person who can feel real Joy when receiving a gift. It’s a good feeling. Great blog Lindsay, one of my aims this year is to be a more mindful consumer. BTW – I can’t wait to read your book! Thank you Lauren. Sounds like an excellent aim for the year… and beyond ;) And thank you for being excited about my book! Hurrah! Love this Melie – thanks so much for sharing your ideas! Thank you. This is one of the most practical blogs. The ideas that we can fix consumerism by buying green or eco pro.oted products has always been a frustration. You put this question so accessibly. Thank you. I think that’s spot on, you can go to different levels of being eco friendly. You could chose to buy something made from recycled plastic, or better, not made of plastic, or better buy something that can be reused, or better still either don’t buy it, or fix/re-purpose something old. We’ve been advertised to since we were children, we need to buy more stuff, and when you are a child, getting that new toy makes you feel great! I don’t think people break out of this, they just change the toys for clothes, games, nice looking tables, whatever it is. I try not to fall into this but like pretty much everyone else I do. The more stuff you have the less you value it, the less you care about it and the more disposable it becomes. We are able to afford so much more it’s easy to buy what you want without the need to take care of what you have and expect it to last, that’s why we have fast fashion, so cheap you can afford to chuck it away and buy a new one. Hi Pete, thanks so much for your comment, I loved all your thoughts on this. I agree completely that the less you have the more you value it. And that thing you say about it being a drug addiction – well, the joy of buying something new is a recognized thing, there are plenty of studies about it, but of course it doesn’t last, so we need to find the next new thing. If we always chase pleasure and joy outside of ourselves from “things”, well, we will always be chasing. If we can start to really connect with what truly makes us happy – happiness that lasts – that comes from people, places, experiences. Less stuff, more life. I find the hardest thing to deal with in reducing waste is having a young child, because children are such easy prey for marketers, and most toys and stuff for kids are plastic. I feel mean not buying my daughter stuff she wants but I loathe all the plastic packaging and needless junk that’s around. We compromise by buying things she honestly needs, or focusing on fun experiences not stuff, but if anyone has tips on going zero waste with a 6 year old I would love to hear them. One of my daughters who has four children, the eldest 12, and is an educator has very few branded items, (Harry Potter T-shirt for the tween who has red the entire series). Books, wooden & sewn toys, lots of dress ups, (but op shop or made, sometimes by the kids themselves…not shop bought targeted dress ups), no batteries, plenty of crafting, duplo/LEGO, magnets etc, flower pressing, paper making. Plenty of imagination in that home. Much of the secret is giving of your time to teach & soon they’ll be doing it for themselves. It’s called parenting. I’m so sick of seeing infants being “shut up” with a tablet or smartphone in their hands. Persistence is the key. Having said that, she’s only one of my four daughter, and two at least have ones of absolute “branded” KAOS with kids that seem to always “have nothing to do”. Thanks for sharing this Valeria, what a fantastic example of what is possible! Hurrah for your daughter! I absolutely loved that sentence you wrote Valeria about “outwardly owning the right stuff”. That sums up a lot of the perception of zero waste as shown in the media – and then people start saying they can’t afford it based on these images. I might have t write a whole post around this! As for what you said, I agree about not throwing stuff out. And surprisingly, cheap plastic things you kinda hope will wear out so you can finally ditch them seem to know what’s up and last forever! Which is both a good thing and a good lesson, I think! And what you say about always learning is so true for all of us, Valeria! That’s why I love the comments section of my website so much – so many great ideas and different experiences and perspectives. And so much sharing! Thank you for sharing your difficulties, this is very helpful for my research about plastic free living. Do you think that modern society is making it easier or more difficult to live plastic-free? Especially because everything is wrapped in plastic these days because they’re so convenient. How do you avoid this? Not buy anything at all or just find the items without all the plastic? I’ve heard farmers markets and bulk stores are good! Is it possible to be zero waste using only normal supermarkets? We have no bulk buy shops near us.